GRECE, CHARLES FREDERICK, specialist in hemp production and jp; d. 12 March 1844 in Sainte-Thérèse-de-Blainville (Sainte-Thérèse), Lower Canada. Charles Frederick Grece immigrated to Montreal in the autumn of 1805 as part of a costly but fruitless endeavour by the imperial and colonial governments to launch the cultivation of hemp in Lower Canada at the turn of the 19th century. Various factors underlay this interest: a growing scarcity of supplies from Europe because of war and the continental blockade, the British navy’s urgent need of hemp for rope, and the necessity to diversify agricultural production in Lower Canada so that it would fit the Atlantic market economy better. 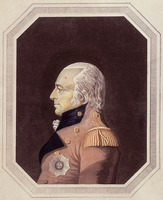 After the failure of a modest attempt under Lord Dorchester [Carleton*], the idea re-emerged under pressures at home and from abroad and by 1800 consideration was being given to making subsidies and uncultivated lands available. In 1801, while recognizing the difficulty of getting good seed, the Executive Council of Lower Canada recommended that small-scale experiments be conducted and subsidies be granted. Isaac Winslow Clarke and William Grant* were appointed agents for purchasing hemp by Lieutenant Governor Sir Robert Shore Milnes, and they carried out experiments; Clarke even sent 2,584 pounds of marketable hemp to England in 1802. 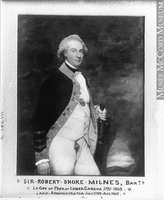 Under pressure from London, Milnes set up two permanent committees, one in Montreal and the other at Quebec, gave encouragement to the agents – Clarke received a gold medal from the London Society for the Encouragement of Arts, Manufactures, and Commerce in 1804 – had the House of Assembly vote a £1,200 subsidy (the act was renewed in 1804), distributed small quantities of seed, and guaranteed producers a “generous price.” Few people came forward: Clarke, Grant, and two others, Philippe Robin (from the island of Jersey) and Philemon Wright, who both demanded grants and enormous areas of land – Robin wanted 20,000 acres and Wright 10,000. However, various studies were circulating around the province, John Taylor’s by 1802 and Charles Taylor’s from 1806, and the newspapers encouraged farmers to take up growing hemp. The government increased its pressure, on the Sulpicians among others. The agents, and even seigneurs such as Charles-Louis Tarieu* de Lanaudière, promoted the idea and two specialists arrived from London, Grece in 1805 and James Campbell* in 1806. 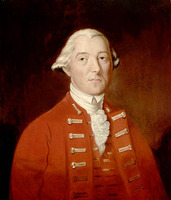 Grece had a brother, John William, who had been in the grain trade between England and Prussia and had offered in 1804 to launch the growing of flax and hemp in Lower Canada in exchange for a township or 50,000 acres along the Ottawa River. The Board of Trade had offered Charles Grece and James Campbell an advance of £400 and apparently 150 acres of cleared land, the advance to be repaid if the terms of the proposed agreement were not met. On arriving in Montreal, Grece was not given the cleared land that had been promised, but he received, from the date of his sailing on 17 Oct. 1805, £200 a year, in addition to 75 bushels of poor quality seed and 100 copies of Charles Taylor’s brochure. In 1806 the Executive Council, which did not consider itself authorized to buy a piece of uncleared land, recommended an advance of £300 and an allowance of 10 shillings per acre for the rental of a suitable property. 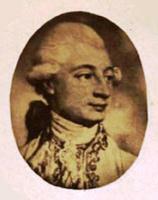 This inaction in the colony prompted Grece to have his brother intervene with the British government. He sought compensation, since he had bought land near Montreal and put up buildings at great cost. Instructions were sent to the colony that 150 acres were to be bought for Grece or that he be compensated in due proportion, if he had fulfilled the terms of his contract. After an initial and detailed investigation the Executive Council concluded in September 1807 that, taking into account the circumstances, including the poor quality of the seed, Grece had indeed fulfilled his obligations. A second investigation, this time into the cost of his buildings, led the council to recommend that 75 acres be bought for Grece at a cost not to exceed £750, on condition that he pay the balance in merchandise and receive £20 a year from the government. The council considered, in fact, that he had no grounds for complaint, since the rent for his land was being paid for him above and beyond the £200 annual salary he was receiving. In 1808 Governor Sir James Henry Craig* expressed his satisfaction with Grece. Yet in 1811 Grece again had to beg for the 150 acres that had been promised by London and for compensation for the £346 he had invested in putting up his buildings. The Executive Council merely recommended that the land being worked by Grece be rented at a reasonable price for five or seven years, to allow him to present his grievances before the Board of Trade. The latter ratified this proposal, but Grece was still pressing his claims in 1814. Then his trail is all but lost, only a few further facts being known about him. In 1820 and 1824, for example, he made application for new lands at Longue-Pointe (Montreal), where he was then living. Again, he received commissions as justice of the peace in 1831, 1833, and 1837. The final renewal was on 31 Dec. 1838, and at this date all trace is lost of Grece until his death, which occurred on 12 March 1844. Despite the injection of more than £40,000 of private and public capital between 1806 and 1809, efforts to stimulate the growing of hemp had all failed. Grece attributed the failure to the swift expansion of the lumber industry and of trade in general, whence the excessively high cost of manpower. Craig was of the same opinion. Campbell and John Lambert* would speak of conspiracy and the deliberate importation of spoiled seed. The responsibility of the imperial and colonial governments, which refused to commit themselves to an adequate financial effort, cannot be denied. These factors counted much more than the alleged opposition of the Canadians which has been attributed to their ignorance and prejudices. Charles Frederick Grece is the author of Essays on husbandry, addressed to the Canadian farmers (Montreal, 1817) and Facts and observations respecting Canada and the United States of America: affording a comparative view of the inducement to emigration in those countries . . . (London, 1819). PAC, MG 11, [CO 42] Q, 87-1: 243–50; 87-2: 424; 88: 2, 90, 150–55, 175; 89: 4, 70, 75, 79, 90, 249; 90: 334–45; 91: 15–18; 97A: 44; 100: 10, 241–65; 101-2: 369; 102: 44, 256; 103: 20; 104: 210–11; 105: 80–86; 106-2: 305, 395, 400–1; 107: 159, 322; 117-1: 104–9, 144–46; 117-2: 185; 119: 211; 128-1: 196; MG 17, A7-2, 5; RG 1, El, 31; 33; L3L:5428–31; 47829–910, 47913–36; RG 7, G1, 1–2; RG 68, General index, 1651–1841. UCC, Montreal Presbytery, St Therese de Blainville (Sainte-Thérèse), reg. of burials, 16 March 1844. John Lambert, Travels through Lower Canada, and the United States of North America, in the years 1806, 1807, and 1808 . . . (3v., London, 1810), 1: 468–69. L.C., House of Assembly, Journals, 1800–12. Charles Taylor, Remarks on the culture and preparation of hemp in Canada . . . (Quebec, 1806). Le Courier de Québec, 1807–8. Quebec Gazette, 1792–1824. Hare et Wallot, Les imprimés dans le Bas-Canada, nos.35, 123, 137, 201(E), 250(E), 264. “Papiers d’État – Bas-Canada,” PAC Rapport, 1892. Maurice Séguin, La “Nation canadienne” et l’agriculture (1760–1850): essai d’histoire économique (Trois-Rivières, Qué., 1970). Douglas Brymner, “Rapport sur les Archives du Canada,” PAC Rapport, 1891: xlii. Jean-Pierre Wallot, “GRECE, CHARLES FREDERICK,” in Dictionary of Canadian Biography, vol. 7, University of Toronto/Université Laval, 2003–, accessed April 22, 2019, http://www.biographi.ca/en/bio/grece_charles_frederick_7E.html.